WHITESTONE, N.Y.– Parker Kligerman is making the move up to the Sprint Cup Series for the 2014 season. After running full NASCAR Camping World Truck Series seasons in 2011 and 2012 plus a full NASCAR Nationwide Series slate in 2013, Kligerman is finally making the jump to NASCAR’s top tier division. Swan Racing announced that they had hired Kligerman as their full-time driver shortly after the NASCAR season had concluded. He will be in one of two cars for the organization as he attempts to show he can help bring the team to a top-20 contender in 2014. Over time, Kligerman has proven to be one of the most consistent drivers on the NASCAR circuit. He started out his career while contending for an ARCA Series championship against the eventual champion, Justin Lofton, who also moved up to the NASCAR ranks. Evidently, Kligerman was signed onto a development deal with Penske Racing. Unfortunately, that did not pan out to what he expected even though he was able to gain some valuable experience. Kligerman has since driven for only Toyota teams in NASCAR competition, developing an important relationship with the manufacturer that has dominated the Camping World Truck Series field for nearly a decade. Now, Kligerman, 22, is making the jump from a Kyle Busch Motorsports team that did not have full sponsorship in 2013, but was still able to finish ninth in points, two points shy of Rookie of the Year winner, Kyle Larson. He’ll be driving for Swan Racing as a teammate to fellow Rookie of the Year competitor, Cole Whitt. As Kligerman approaches his inaugural campaign in what he states as “the most competitive racing series in the world,” he understands that he has been given the challenge of taking a 33rd place race team, and making it competitive. Though it will be difficult, it is something that he understands quite well as he looks to grow into a contender for one of the most diversified rookie of the year classes which the sport has seen in recent years. Besides making his marks in the Sprint Cup Series after an impressive debut at Texas in November, followed by a respectable run at Homestead to close out the year, Kligerman will be returning to the NASCAR Camping World Truck Series for the majority of the year with a team that will be announced shortly. 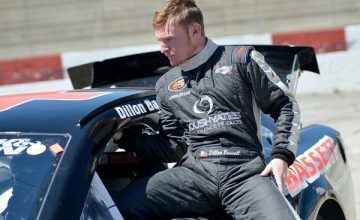 Though some may argue it may get in the way of Kligerman’s full-time focus, it will give him a chance to contend for wins while learning more about race tracks throughout the year. In this interview with theÂ Westport, C.T. native, Motor Racing Scene takes a look at how Kligerman will be approaching his rookie year, what made him make the decision to leave the Nationwide Series, his developing relationship with several key partners including Toyota, his expectations and more. What impressed you about Swan Racing that made you decide that was where you wanted to race in 2014? Why the decision to make move up to the Sprint Cup Series now instead of gaining another year of experience in the Nationwide Series? Evaluating your rookie season in the Nationwide Series, how do you believe you did considering the team did not have full sponsorship? We are very excited to announce that Swan Racing is expanding to 2 full-time #NASCAR teams with @ColeWhitt and @pkligerman as our drivers! What are your 2014 expectations? How do you make a 33rd place organization into the top-20 within a year such as you did at Texas? What was the most instrumental thing that led you to join Swan Racing beside Brandon Davisâ€™ involvement? After Kyle Busch Motorsports announced they were letting go of employees, how did you go about attempting to finalize your 2014 plans? You had an impressive debut at Texas where you finished 18th, how did you handle that weekend in terms of attempting to show you are capable of running well at NASCARâ€™s top level? When I first interviewed you, you had just won the Talladega Truck Series race. A lot has happened since then. What has been the biggest event that has catapulted you to make the jump to the Cup Series? Who will be your crew chief be? Has there been any word on sponsorship besides Lean 1 and Swan Energy? How do you feel about working with fellow Rookie of the Year candidate, Cole Whitt? â€œ@ColeWhitt: Very excited about 2014, Thankyou @SwanRacingCo for the amazing opportunity! @pkligrerman gonna be fun!â€� Looking forward 2 it! What advantages will the team have with two full-time cars instead of just one? Say you struggle for a part of the season, how do you show people you guys still have what it takes to run well? 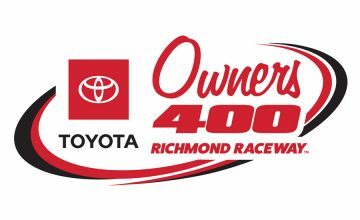 Moving to your third Toyota team in as many years, how does this move help your personal alliance with the manufacturer? What is your overall career goal? Do you plan on staying with Swan Racing for more than just the 2013 season after working with several one-year deals? What is going to be the biggest difference in your life as you make the move to the Sprint Cup Series?